GO Enerji provides all services as turnkey. Solar Energy Systems are delivered as working condition with completing all process from designing to installation, getting permissions and commissioning. 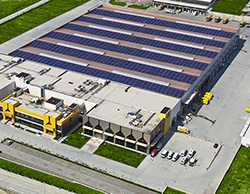 GO Enerji can offer 25 years of full guaranty for its solar energy systems with its international experience and its team of experts. The energy systems that it offers with its deep knowledge and superior engineering skills, can produce more energy than its rivals. This advantage comes back to you as earnings. 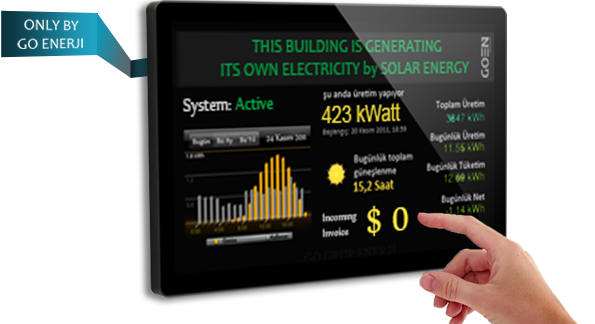 Plus, the solar energy systems offered by GO Enerji have a building energy management unit. Thus, you can monitor the performance of your solar energy system and monitor and report all our electric consumptions in your building. The environment protecting institutions have a better image in the society. 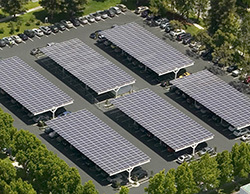 Using solar energy doesn't only drop your energy costs, it also gives your company a rise in its value. The energy efficiency in the buildings becomes more important every day. It's an obligation to watch the energy consumption. The international institutions certificating the buildings for their classification, give high ratings to buildings using a renewable energy source as solar energy. 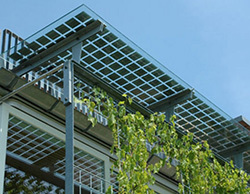 The solar energy systems can be applied on every kind of building thanks to their various application alternatives. The different alternatives offered thanks to GO Enerji's special experts, you can add elegance to your buildings. The systems start producing electricity as soon as the sun rises and do all the operation by themselves. It's not necessary the have direct sunlight for them to operate. It's enough to have a bright weather. There's no need for storage in the solar energy systems with network connection. If you don't have any consumption while producing, it's directly given to the network, and it's taken back if needed. If you don't take it back for consumption, you automatically sold it and you earn money. The solar energy system that you buy from GO Enerji comes with GOIRIS™ with which you can monitor all the energy consumption performance of your building. If you want you can install the internal big monitor to the entrance of your building and inform your visitors about your contribution to the environment. Applicable to all roof types; sloped or plain surface, concrete or pavement doesn't matter. It gives isolation and protection. You can make free spaces useful and at the same time you provide shadow and protection to the vehicles. The parkings look well groomed. It's offered in alternatives like shade, façades, flexible surface applications and different color options in order to add aesthetics to buildings. You Still Pay For Electricity? Be an owner of solar energy systems with all its advantages and earnings.